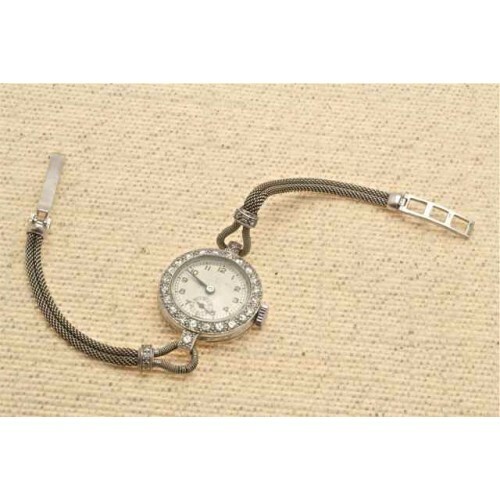 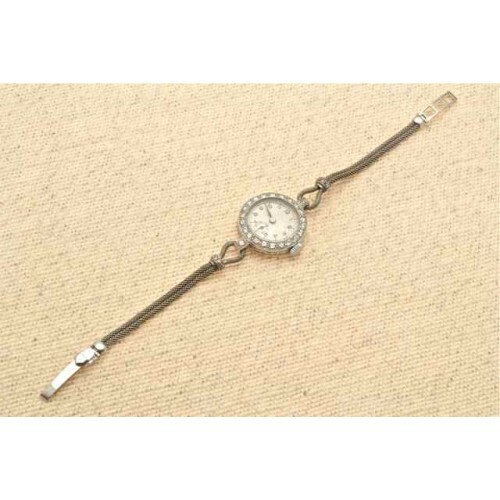 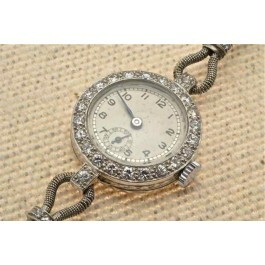 Platinum set Diamond wrist watch. 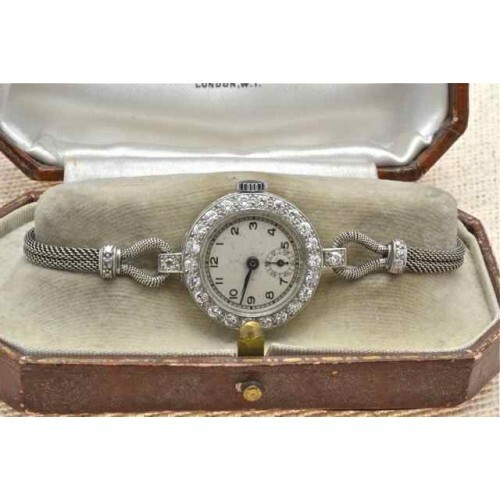 Platinum set diamond wrist watch on white gold mesh bracelet, having twenty-two old cut diamonds on the bezel and one old cut stone in a square setting at each lug, the diamonds weigh circa 1.20 carats, with a 9ct gold double mesh bracelet, having a band of gold holding the mesh each side of the bracelet set with three old cut stones. 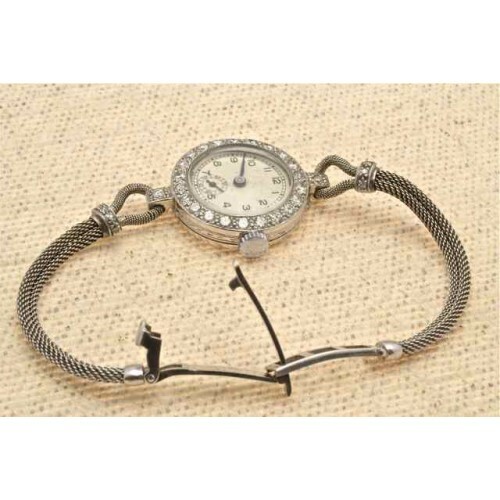 The dial has a seconds face, black Arabic numerals. 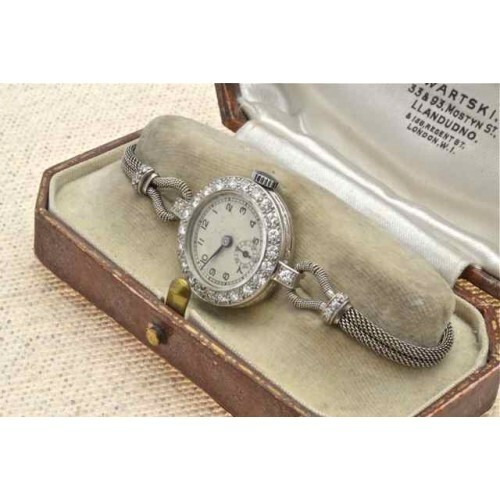 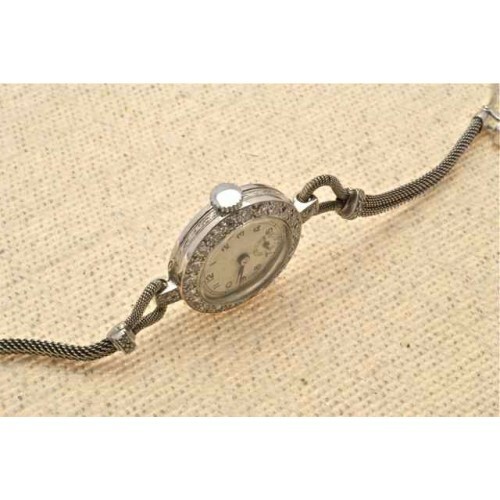 In mint condition, a very fine piece of Edwardian jewellery.